The White family speaks to the crowd. 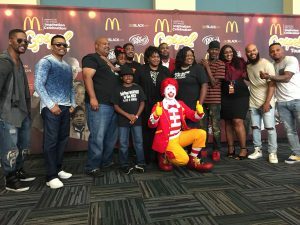 The artists and crew of the McDonald’s Inspiration Celebration Gospel Tour put on another wonderful show for Birmingham on July 12! 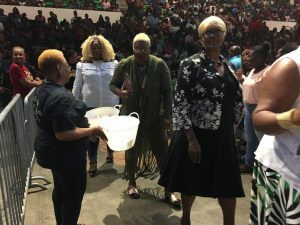 Radio personality Lonnie Hunter hosted the concert, which featured well-known gospel arists like JJ Hairston, Todd Dulaney and Ricky Dillard. 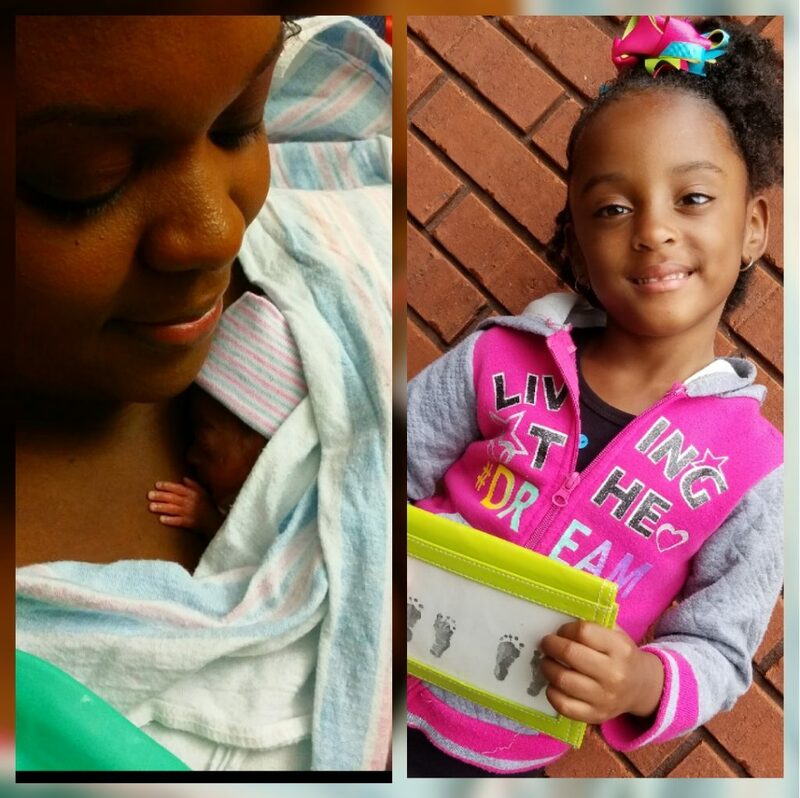 Ronald McDonald House Charities of Alabama’s special guests included the White family, who stayed at the Birmingham Ronald McDonald House when their daughter, Jylah, was born at 23 weeks weighing only 1 pound, 11 ounces! Jylah is now 4-years-old and doing wonderfully! The Whites were able to share their moving story with the concert crowd and we appreciate their advocacy for our charity! 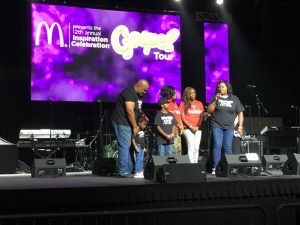 An important part of the annual gospel tour is the love offering made at each stop that benefits a local Ronald McDonald House Charity. This year, the generous attendees donated $14,000! Every cent will go directly to RMHCA to fund our operating budget, enabling us to comfort and care for 73 families each night. The White family poses with the tour artists and Ronald McDonald. 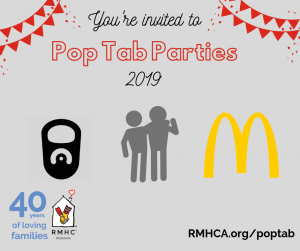 We are so grateful to McDonald’s, Dr. Pepper, the artists, crew and all attendees for making this event so special.